The iron studio incorporates centuries old skills, some tools dating to the 1800’s, and the latest in high tech equipment for a perfect blend of craftsmanship and production. 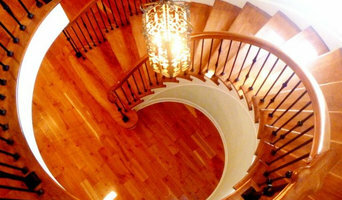 Rise and Run Construction, LLC is a home improvement company specializing in custom staircases, trim and millwork. 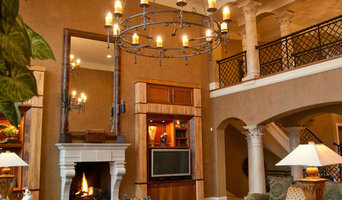 We are fully equipped to handle large and small jobs in both new construction and residential remodels. P & S Pillars: Passion. A unmatched passion to create stairs imagined by each client individually. Understanding. An understanding that each project is different and requires it to be treated individually. Experience. 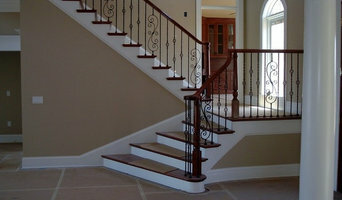 Over 30 years of industry service and the first SMA Certified stair builders in the region. Commitment. The commitment to stand behind our product because we know it is one of the best. Technology. A Company at the forefront of technology and the tools that are constantly changing and improving our way to design and implement projects. A few years ago while building a vacation cabin up in the foothills of the Blue Ridge Mountains a discussion arose between company owners Lawrence Smith and Daniel Sims about the design for the porch and stair railings. 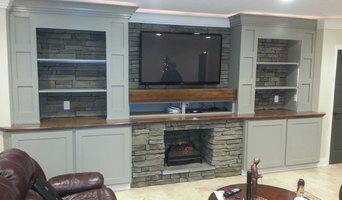 There are quite a number of different styles and materials that can be used and we wanted our choice to be the best. After settling on a “twig” style we worked hard on using the readily available natural Rhododendron finally deciding that when finished it would be too difficult to keep clean and would always be a source of splinters and small pieces of debris. The solution was clear once we spent some time in the shop and came up with the first “Iron Twig” design. It was beautiful, clean, and stronger than the wood twig design, adding the eye catching piece to the cabin that we needed. 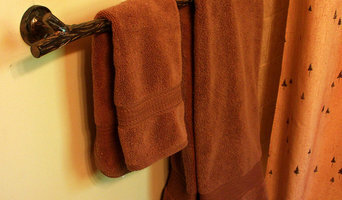 Now we are constantly adding to the original railing selection with tables, other furniture items, custom “one of a kind” pieces and bath accessories. Miller Welding & Fabrication Inc.